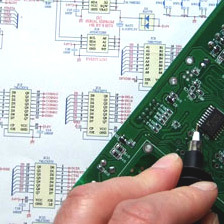 PCB Design - PCB Services - Cope Technology Ltd. If you require an early meeting to discuss the feasibility of a project or to talk over a design plan, call and ask for Customer Services. Turn key or collaborative designs with project reviews and document management. PCB layout using Altium Protel. Creative, skilful and designed for manufacture. Microchip PIC, ST ARM controllers, Telit, Freescale, Bluetooth. Parallel costing, procurement, development and prototyping. Integration of all necessary standards, eg. EMC, LVD, RoHS. Scalability of production quantities during roll out. Cope Technology have been helping customers innovate since 1998, developing an excellent reputation for their knowledge of product design, development and prototype assembly. The critical path is a smooth transition from concept to manufacture. With shortening product life-cycles, speed to market is vital, demanding the pressure to get it right first time. PCB layout, hardware and firmware integration together with component optimisation play a crucial role in design for manufacture. Market awareness of the cost and availability of components and choice of the latest microcontrollers sets us apart from the constraints of legacy in-house designs. Whether you require a board lay-out or a system designed, you will be assigned a project manager from customer services who will always be available to update you on progress, or liaise on your behalf with design or production.